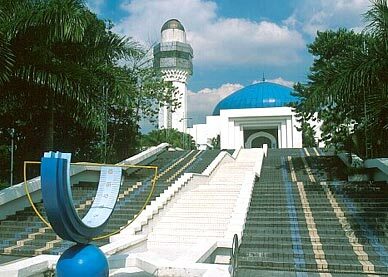 - There are 2 main section in the planetarium. Front and back section. - At the front section, there are display of pictures and some model or the 9 planets. Information about criteria of each planet and the sun. - On the right side of the front section, there is an area where students can line up to go and experience the feeling of NO GRAVITY in space. - At the back section, there will be display of astronaut life in space. The food they eat, the plants they research, how’s their toilet function and so on. At the same time, there is also the information of the 1st Astronaut of Malaysia and the model there.